Download Farmcraft 2 free game and start playing now! 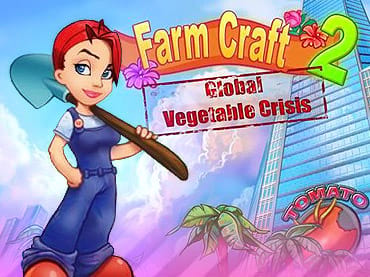 The story of Farm Craft continues... anyone who played the first Farm Craft will remember that our heroine, Ginger, defeated Agronovich and took over the Agronovich Corporation. Ginger's company, aptly called the Tomato Corporation, owns and works with a vast network of farms and food suppliers making quality, healthy food. Her trusty shovel hangs on the wall as a memento to her great work in past. 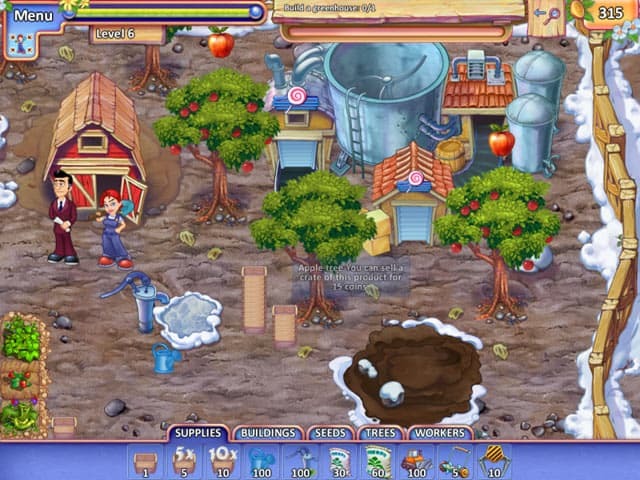 And although she longs be back on the farm, Ginger's a successful businesswoman and her most important tool these days is her cell phone.During a trip back to her farm to visit to her grandparents, Ginger stumbles upon people making suspicious experimental fruits and vegetables in her village. The plot thickens with international intrigue and the global vegetable crisis. 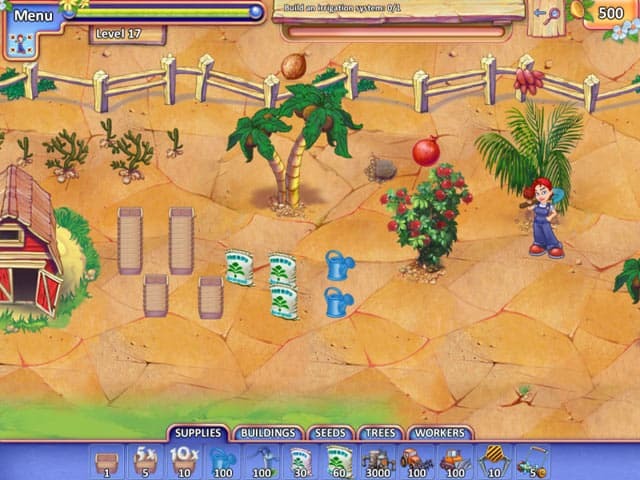 There's not a minute to lose as this charming farming game has gone global. It's up to Ginger to save the world. 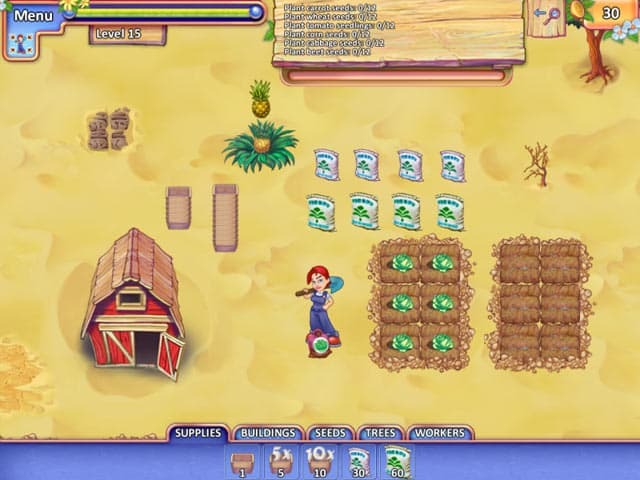 Free Game features: - In addition to farming you'll need to hunt for objects and play arcade-like mini-games; - There's no time limit. Create your own strategy for solving each level's tasks; - Hone your skills to earn 25 different awards; - Great story line with interesting characters; - Amazing graphics and original musical compositions.